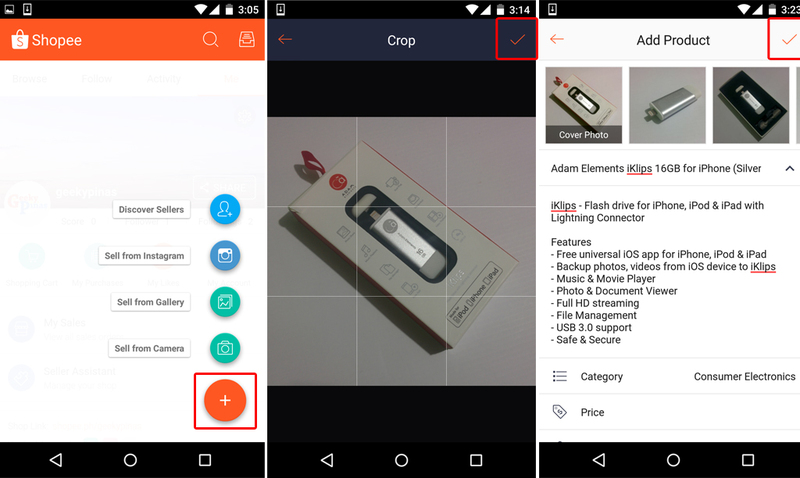 How to Buy & Sell with Shopee? 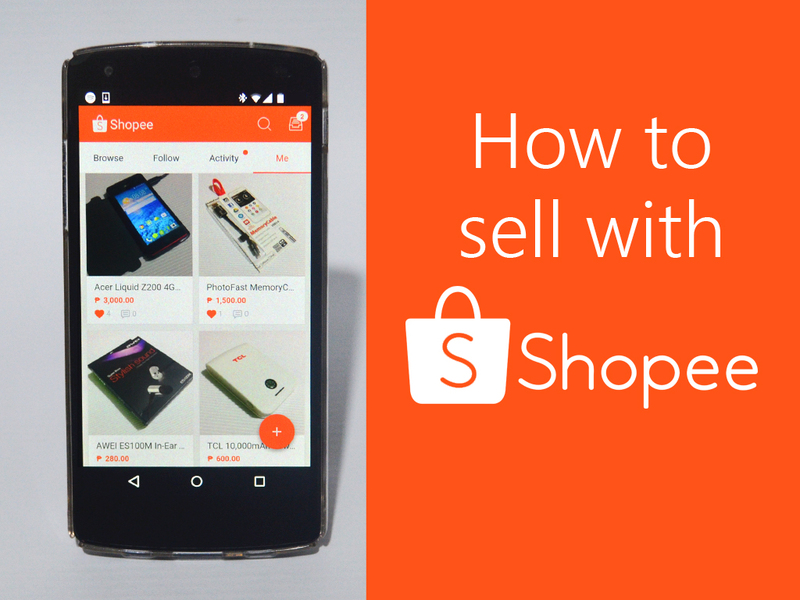 Today, you’ll learn how safe and easy it is to set up a mobile shop on Shopee. 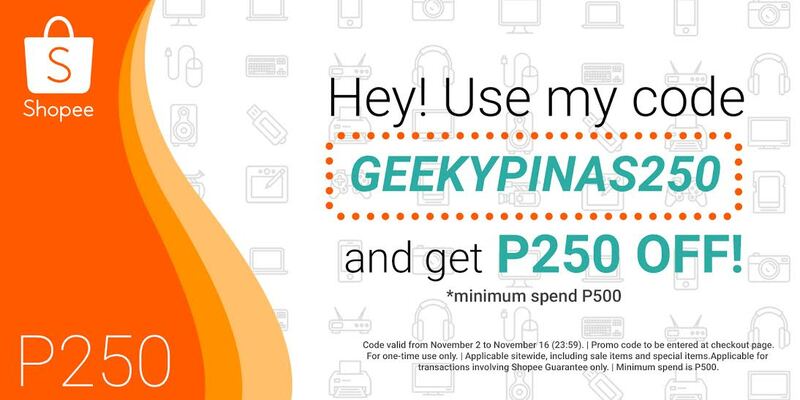 We will be showcasing our Geeky Pinas shop and our experience in using the Shopee mobile app, and how you can get P250 discount from us. 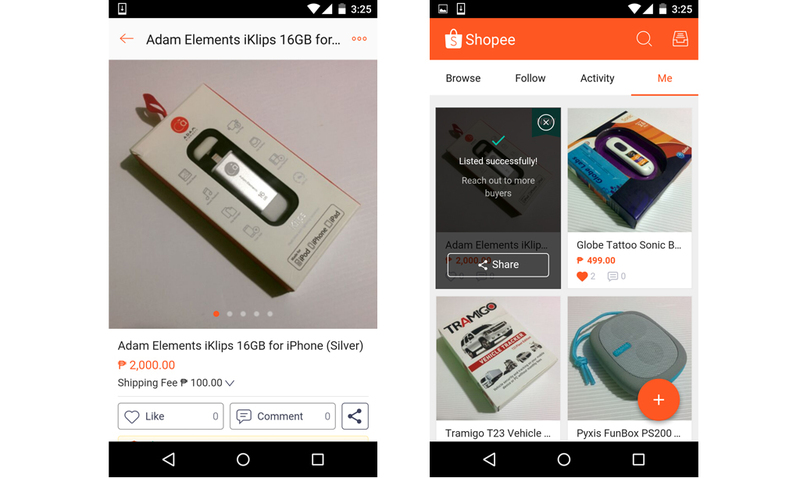 We’ll also show you why Shopee is a safe and easy-to-use mobile marketplace for all buyers and sellers. As you can see, you can start selling in less than 30 seconds upon opening the app, click the floating plus (+) button on the lower right of the screen of your smartphone and a menu will pop. Select whether you want to upload photos from your gallery, capture a photo directly from your phone’s camera, or upload one from your Instagram account. In the photo below, I selected the “Sell from Camera” option where you can directly take a picture from the phone’s camera. After taking the product shot, you can edit the image with the built-in enhancements / filters. Next, you can place the essential product descriptions like the name, price, category, brand, etc. You can see your product listing in your profile page. As of my experience, the shop has received product likes and some inquiries about my products, it just goes to show that there are a lot active users browsing the app, which could also be your potential buyers. Get the best deals with the Shopee live chat, where you can directly contact the seller or talk to the customer. If you’re curious about a product and have questions you want to ask before buying, just hit the Chat Now button and ask away. Likewise, if you’re a seller you can get inquiries from your buyers real-time with the chat feature. Reply easily as you would in any other messaging app without having to switch from one app to another. 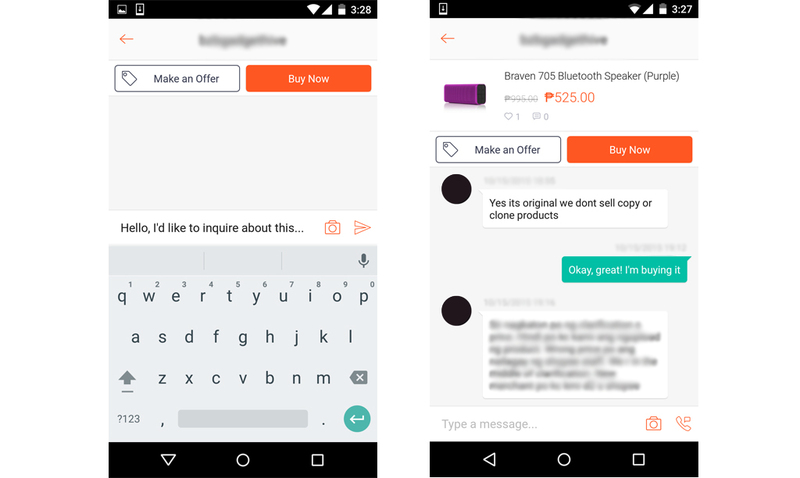 Shopee makes communicating easy! In the image above, you can see how I tried to buy a Bluetooth speaker that had a big discount. Whoa! I messaged the seller as I had a few inquiries before buying. The seller quickly responded via the chat system built-in within the app. Having my questions answered by the seller right away made it easier for me to decide on the purchase. One of the things we love about Shopee? The Buyers and Sellers are surely covered by the Shopee Guarantee. This ensures each party protection from fraudulent transactions for all the deals completed online. Buyers are assured to receive their ordered items while sellers are assured to receive payments due to them. 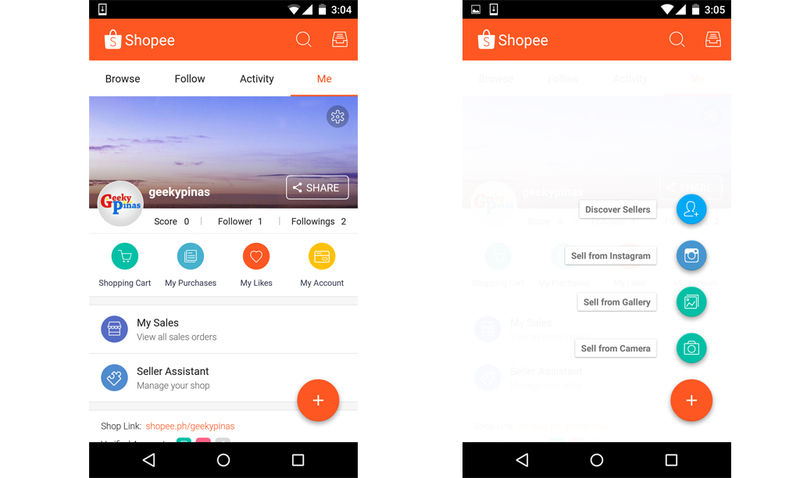 You can always create your product listing on your Shopee shop. You can also browse listings of other sellers whom you may be interested in buying from. 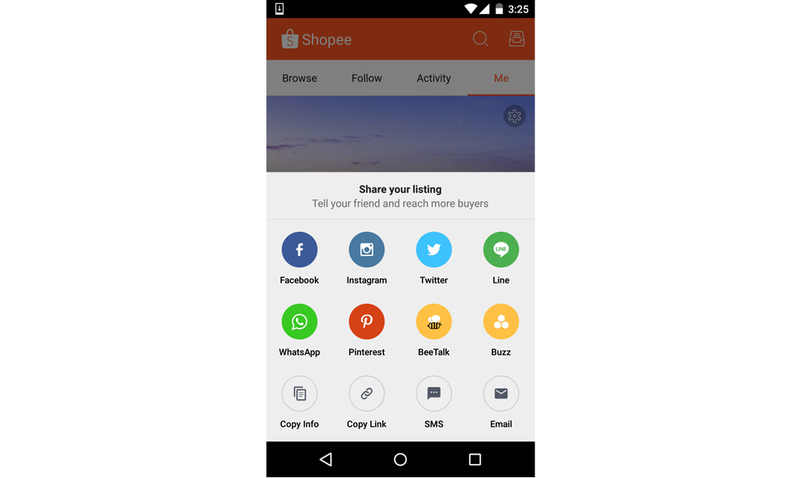 With just a touch of a button, you can quickly share Shopee with your friends. Share items you love and want to buy, or even the items you’re selling. No need to copy-paste. 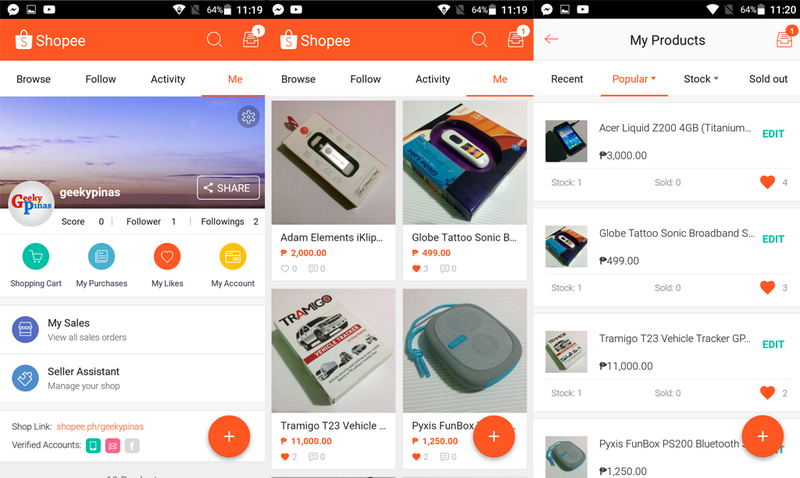 Shopee connects thousands of buyers and sellers to each other. It answers the many issues online buyers and sellers are faced with today like unresponsive buyers/sellers, unpaid items, and simply unreliable listings that results in unsuccessful deals. Plus, Shopee is completely FREE! 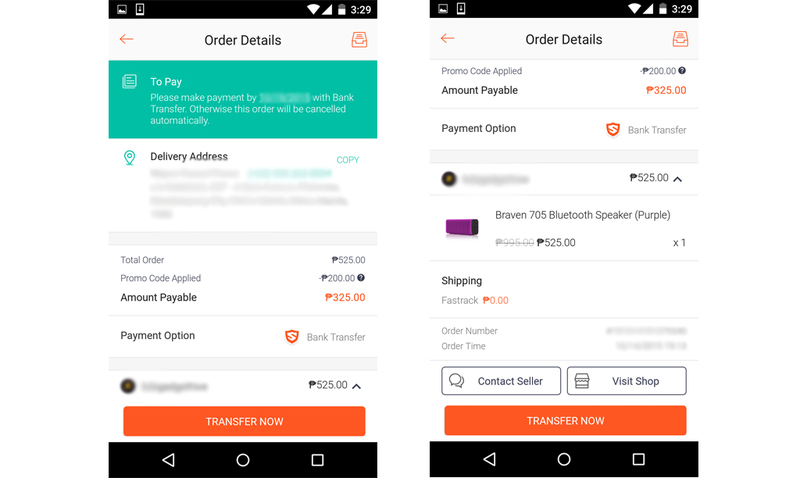 There are no registration fees or commission fees that Shopee charges.